Nearly 600 years after she was burned at the stake, the military wunderkind Joan of Arc continues to fascinate dramatists. 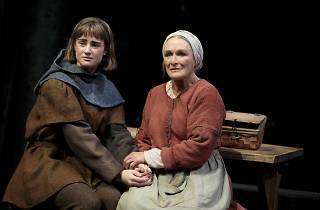 Jane Anderson’s new play, Mother of the Maid, shifts the focus from Joan herself to Isabelle, the woman who raised her. Played by the always astonishing Glenn Close, this hardworking farm wife may not have her teenage daughter’s world-changing charisma, but she’s heroic in her own right. Blending recorded history and popular legend, Anderson depicts an ordinary family that is upended when Joan becomes a national standard-bearer. At its core, this is a story every parent can identify with: Your child has somehow become their own person, and you’re not sure whether to beam with pride or lock them in their room. At first, Isabelle and her husband, Jacques (Dermot Crowley), attempt the latter, but when they are persuaded by their priest that Joan (a lovable Grace Van Patten) has been divinely chosen to save France, they can only watch in awe as she achieves success they could never have imagined. When Joan is captured by the enemy, however, Isabelle springs into action to save her girl. We know, of course, that Joan’s terrible fate is sealed, but that doesn’t make the inevitable end any less heartbreaking: Close’s desperate efforts to bring her child home safe would bring tears to a statue’s eyes. 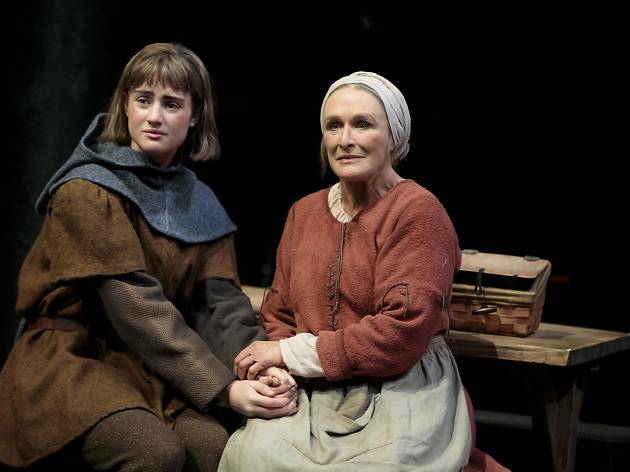 Mother of the Maid is set in the Middle Ages, but its examination of politics, gender roles and class tensions make it painfully relevant, and its portrait of parental love is universal. Simple in structure but emotionally complex, it justifies raising Saint Joan from the dead yet again. Public Theater (Off Broadway). By Jane Anderson. Directed by Matthew Penn. With Glenn Close. Running time: 2hrs 15mins. One intermission.